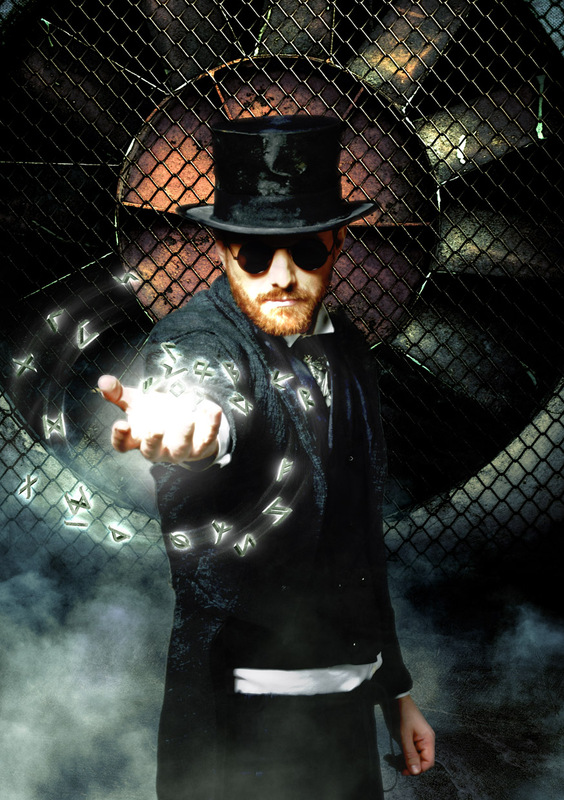 Thunderside: INTERVIEW with THERION – Answered by Christofer Johnsson from the “Flowers Of Evil” – Tour / 25th band anniversary. INTERVIEW with THERION – Answered by Christofer Johnsson from the “Flowers Of Evil” – Tour / 25th band anniversary. Therion are busy making final preparations to celebrate their 25th year anniversary of the band and to release the new album “Les Fleurs du Mal” during the tour. The tour is going to include 26 cities. (Stockholm, September 2012) - Up to this moment, none of the songs have been made public. From Friday September 28th on, Therion is going to introduce it for the first time to their fans during their “Flowers Of Evil” 25th year anniversary concert tour. 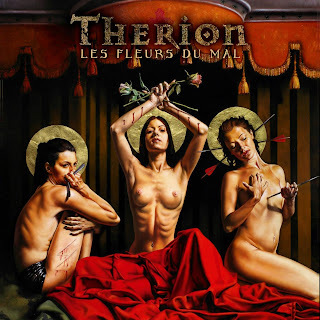 The album “Les Fleurs du Mal” is a part of an art project that Christofer Johnsson has been thinking about for some years. The topic is there, I only had to ask Christofer Johnsson, who answered straight from the tourbus! Christofer Johnsson: Simply put: I'm not used having people telling me what I can and can't do, I'm not the compromising kind of guy. I do what I like and I will fight for it. Creating without artistic freedom is not creating - it is manufacturing. The biggest issue with the label was not the music though; it was the other things, like how I wanted to work with the project. Szapy: The album title refers to famous poem collection of Charles Baudelaire. How did you meet those poems? Did you only get inspired by these, or also used some parts for lyrics? Christofer Johnsson: It actually refers to the public reaction of the 6 forbidden poems rather than the poems themselves. The only direct connection to the poems is that 3 of the forbidden ones were related to lesbian erotics and the artwork in the booklet was selected in tribute to that. Szapy: As I know, “Les Fleurs du Mal” is a part of your art project you've been thinking for years. Does it mean only the music, or also the appearance (like the cover art)? Christofer Johnsson: There will be different types of visual arts and there will also be some performance art. The project will continue to the end of the year. Szapy: You already published some information of the tour, like presenting the new project, playing some never before played old songs and also a bunch of all time classics. But showtime is always 'limited'. How could you choose and make the setlist, to be 'complete' for these shows? Christofer Johnsson: We play over 2 hours, so it was no problem to manage to create a great blend of what we wanted to present. Szapy: You take a keyboard player at this time, because of playing songs which would have no sense without him/her. How this idea came? Christofer Johnsson: We did it once before back in 2007, so we already had experience of it. Thing is that songs like Via Nocturna and similar has so much orchestration that if it came from a backing track (play back), it would not feel good being on stage, it simply has to be played. Szapy: The last regular tour in a while. And nothing else predictable? I mean, when we'll hear about you again, while working on your rock opera. Christofer Johnsson: We'll get started working on it next autumn. Szapy: Thank you for the answers!